First, we have Anne’s Beta model. This model is quite different from the final and personally it’s pretty easy to tell why the creators changed it. 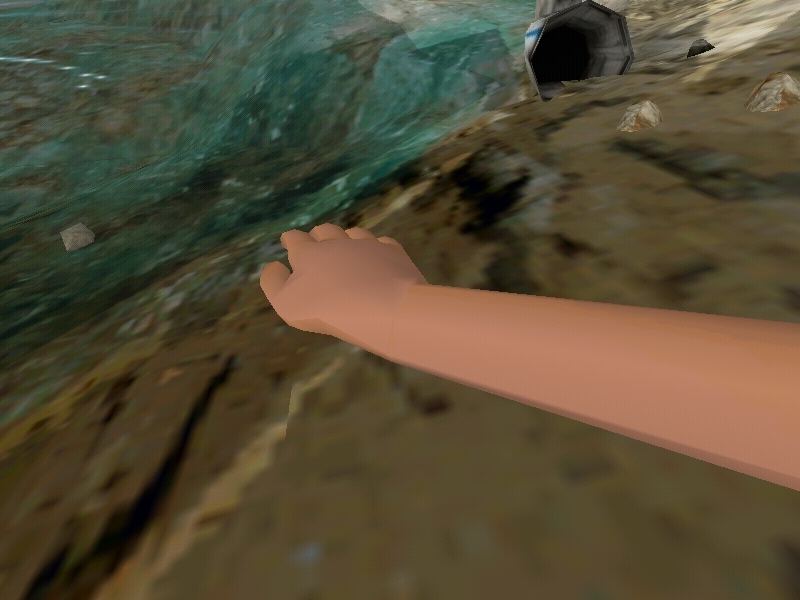 You see, it’s not very detailed in terms of textures. Odd little note though: Anne’s Shirt design seems to vary from level to level in the beta so while the model is the same, the shirt texture seems to vary. Also, as another note, Pictures of this model and textures were in the Trespasser manual that came with the game disc. The ESC menu is also different slightly. I don’t think the help option is normally there in the final. Anyway, clicking the help option doesn’t seem to do anything. 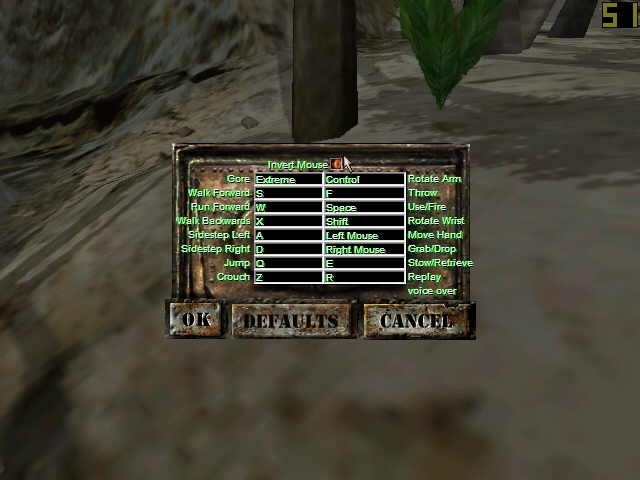 Probably a menu feature the devs thought of but decided wasn’t necessary. Not much is different in this menu. 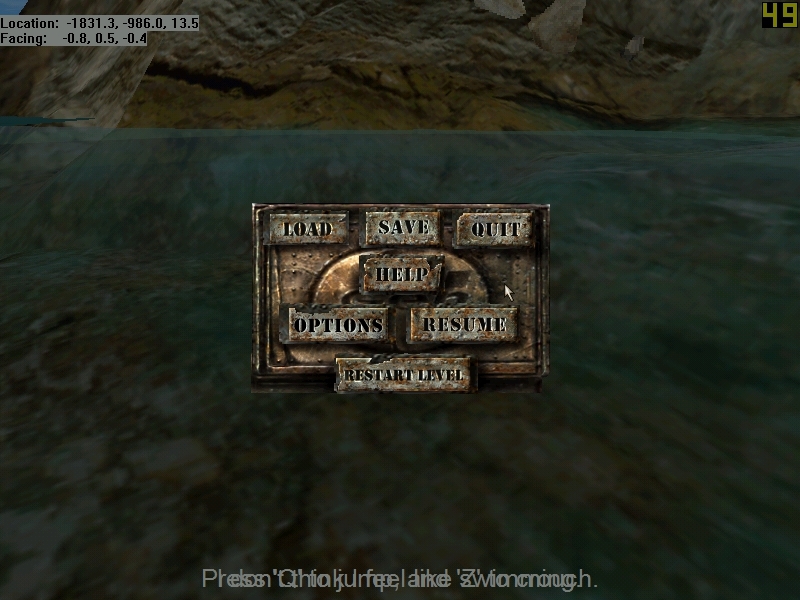 However, for some odd reason, the mouse is inverted when you start the game even if you have mouse inverting off. To fix it, simply go to the controls menu pictured here and select inverted mouse and activate it, then deactivate it again. You’ll need to do this each time you play the game though so keep that in mind. It’s an issue with the beta engine itself and doesn’t happen if you play the beta levels in the final version’s EXE file. More dinosaurs display emotions than in the final version. 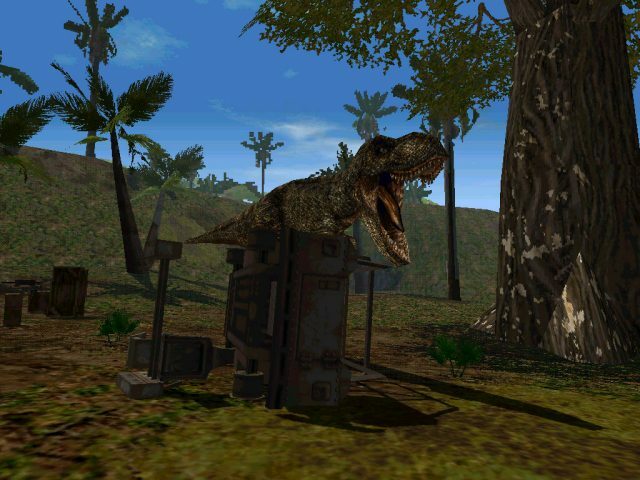 If you have read the Industrial Jungle Easter Eggs page, you’ll know that the dinosaurs all had emotions programmed into their AIs. However, the emotions were causing problems for the devs late in development. Often times, the dinosaurs would supposedly have abrupt mood swings that would cause them to get stuck between two emotions and freeze in place. To fix it, all the dinosaurs’ emotions were put on max anger and everything else was set to 0. However, there were a few dinosaurs that slipped through their fingers. 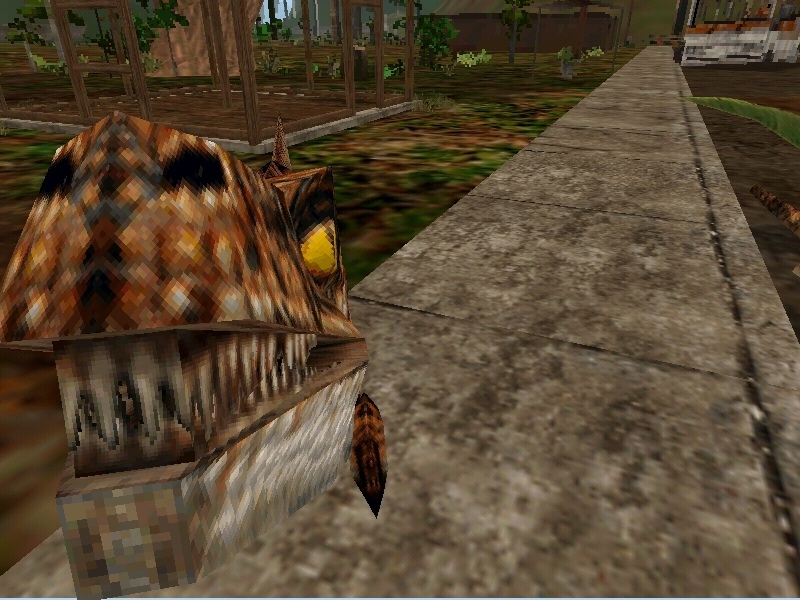 The raptor above is displaying the curiosity emotion and sniffs the player. 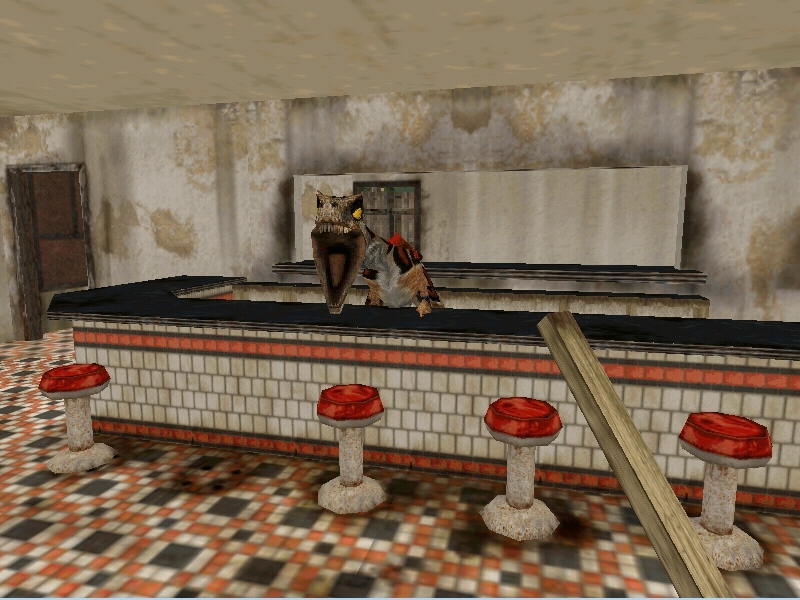 There are a total of four raptors that do this in the Town level. I’ll go over this more when I get to doing the article on the Ingen Town level beta version. Anne is closer to the ground than the final.